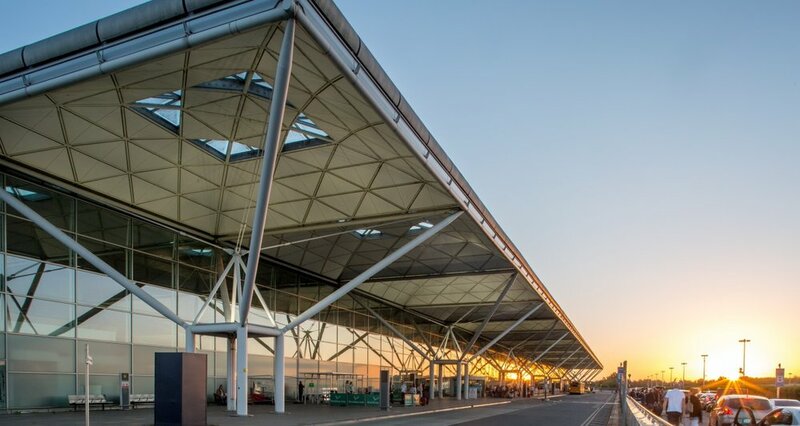 BRITISHJET has it’s main base & hub at London Stansted Airport, this modern facility is increasingly popular with travelers owing to its proximity to the UK capital, spacious terminal and less congestion than Heathrow & Gatwick - delivering better on time performance. There is 1 main terminal at London Stansted with a large retail and leisure concourse to which 2 departure gate piers are connected. A 3rd remote gate pier is connected to the main concourse via shuttle train. BRITISHJET operates from all 3 departure piers. BRITISHJET offers flights from London Stansted to more than 80 worldwide destinations, you can connect to these flights from several UK regional airports as well as Ireland and the wider BRITISHJET network. We also offer at least 4 flights a day to our secondary hub and sister airport Manchester. The Stansted Express train service offers the quickest way to get from Central London to Stansted Airport and vice versa. Trains operate every 15 minutes with a journey time to/from London Liverpool Station of less than 50 minutes. Regular bus & coach services to London and beyond are also available. You can relax before or between flights in the award winning Stansted Escape Lounge. Access to the lounge is included for passengers travelling in business class or can be purchased as an addition for all other ticket types.